On August 22 & 23, TFFA members and staff gathered in Austin for a strategic planning session. A well thought out strategic plan has the potential to spark tremendous growth for any organization. As part of the planning session, a professional moderator was consulted to keep the conversation on track. 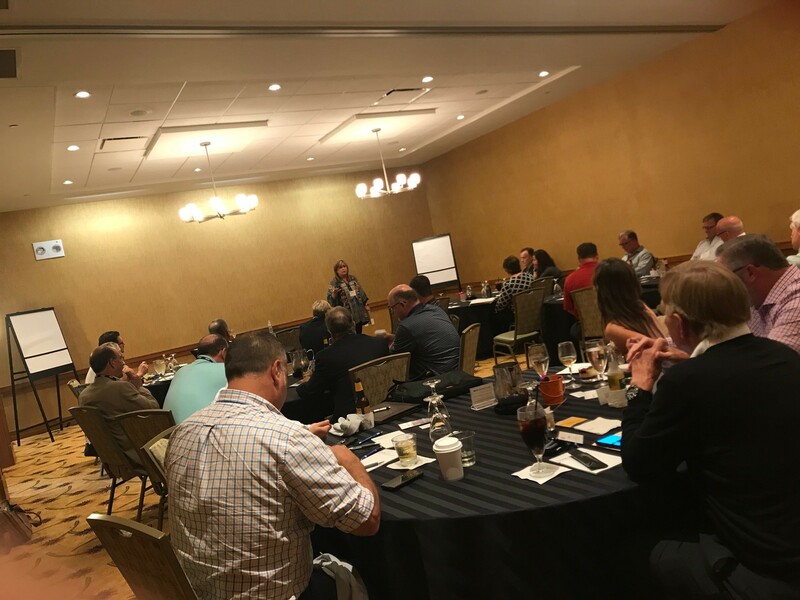 Lorie Johnson, Director of the Nonprofit Management Center, reviewed organizational documents, evaluated TFFA’s previous strategic plan, and facilitated a very engaging SWOT (Strengths, Weaknesses, Opportunities, and Threats) discussion. Throughout the two day planning session, members exchanged ideas, voiced concerns, and worked to develop a strategic plan that will serve as a living document the organization will live by each and every day. Membership was the core topic throughout most of the discussion. How can TFFA retain members? Where should TFFA look for new members? Is there a financial investment that needs to be made to grow the membership? How can TFFA increase membership engagement? These questions, and more, were discussed in great detail and seen as the fundamental basis for crafting a strategic plan that will guarantee TFFA’s viability for years to come. Sid Miller, Commissioner of the Texas Department of Agriculture (TDA), made an appearance during the strategic planning session and addressed the group. A healthy exchange included TDA's Weights & Measures program, streamlining fuel quality testing procedures, and working together to protect consumers and businesses who sell and distribute fuel. TFFA will share the strategic plan with the membership as soon as it is complete.